I've wanted to visit Chicago for a long, long time, probably at the hands of seeing the famous Bean in so many movies and TV shows over the years. And, though it took me 25 of them to finally make it over to the Windy City, I'm proud to say I finally took the leap. I had heard once that Chicago was called the "Windy City" not because of the wind, but because of the politics, or something along those lines. I immediately found myself disagreeing with this statement when I was chasing my hat down the street... due to, well, the wind. 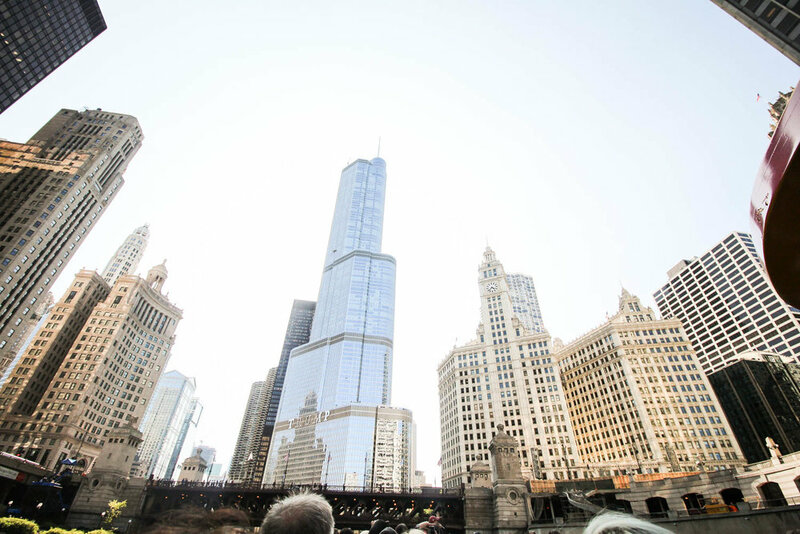 I'm obsessed with architecture, ever since I meandered the streets of Europe solo with nothing but a DSLR to keep me company, so naturally, I fell in love with Chicago. Chicago reminded me of a calmer NYC, a city I will forever love, but one where I could not for the life of me get (or even gain validation on) one of my favorite desserts: an Affogato (gelato + espresso). Here are my Chicago recommendations + favorites that made my stay so incredible. I stayed with Loews Chicago Hotel during my 3 days in the Windy City, and could not have been more impressed. Situated right downtown just a stone's throw from the riverwalk, Loews Chicago Hotel welcomed me with open arms – and a bottle of champagne! I even brought myself to use the gym (albeit just once) which was perfect for on-the-go fitness. Their in-lobby breakfast was also quite divine, as was my room which had a view of Navy Pier, the most comfortable bed, and an amazing shower. I can't wait to visit you again! Eataly is always a fabulous place to eat in any city, and while they may not have my favorite Affogato or the city's famous deep dish pizza, they do have some mouth-watering, authentic Italian dishes and an experience-worthy atmosphere. 25 Degrees was an instant hit for me – it was probably the delicious burgers and spiked milkshakes and rootbeer floats that did it. The architecture river cruise with Seadog Cruises was the absolute highlight of my trip for sure. It gave me the perfect perspective for architectural photography, and the tour guide was both incredibly informative about the city's history and also incredibly funny. We finished off the leisurely river cruise with a faster zip around the lake. Highly recommended! The Skydeck located at the Willis Tower (be sure to say "Sears Tower" if you don't want to be immediately pinned as a tourist to Chicago) is another must-do, particularly if you like to take photographs. You won't get a better view of the city than from these extended glass boxes at 1,350 feet. PLUS take a peek at my Chicago experience in video format here. Have fun in the Windy City!